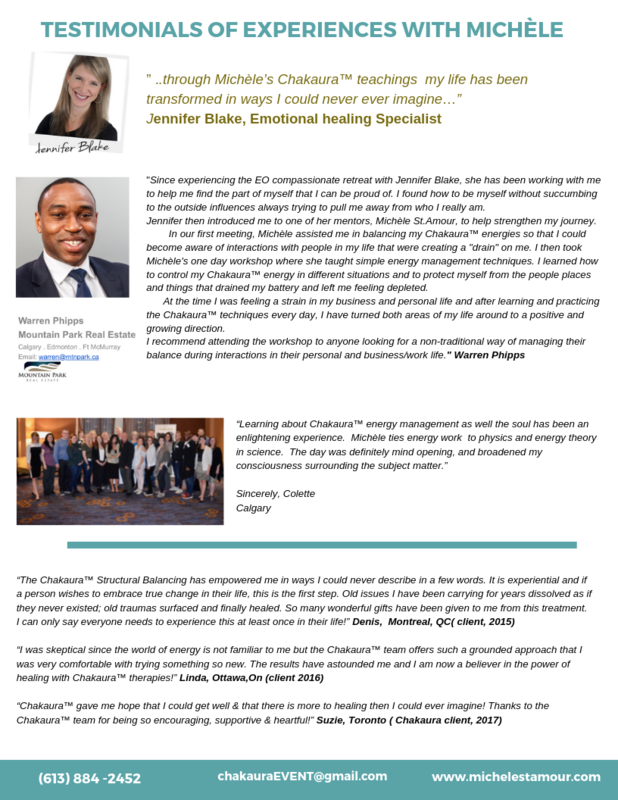 Michèle has been teaching this program since the year 2000. She is the only Teacher in the world trained to teach this. This will change your life for the better. We guarantee it! 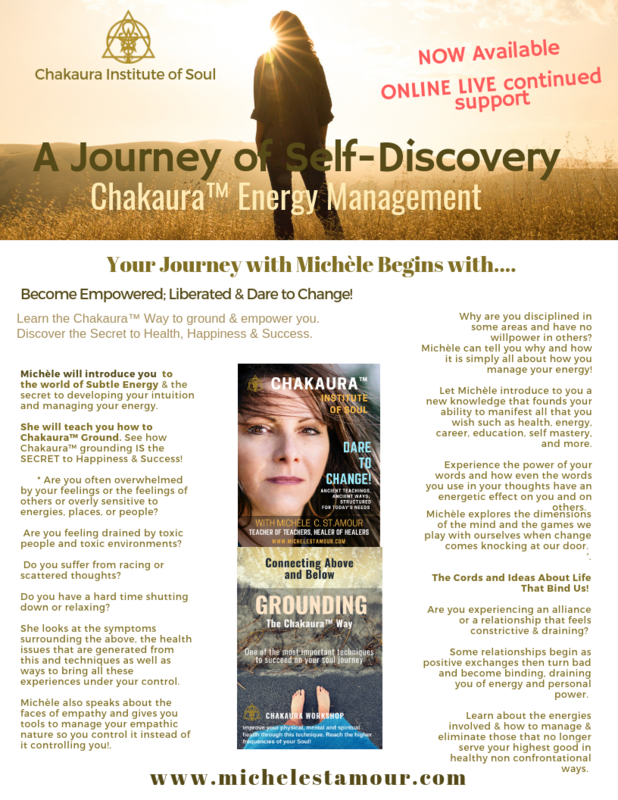 Michèle’s Chakaura™ teachings are guaranteed to change your life for the better! 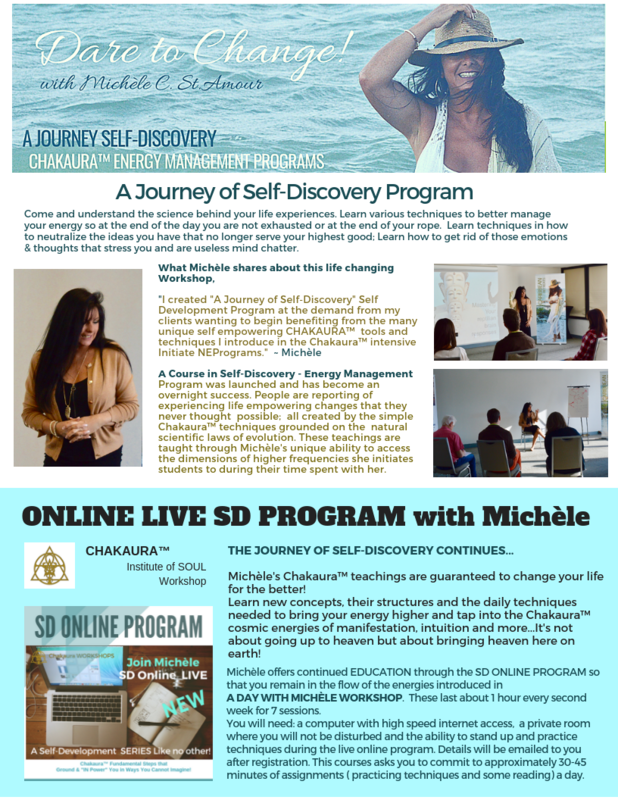 Inquire when next program series begins! 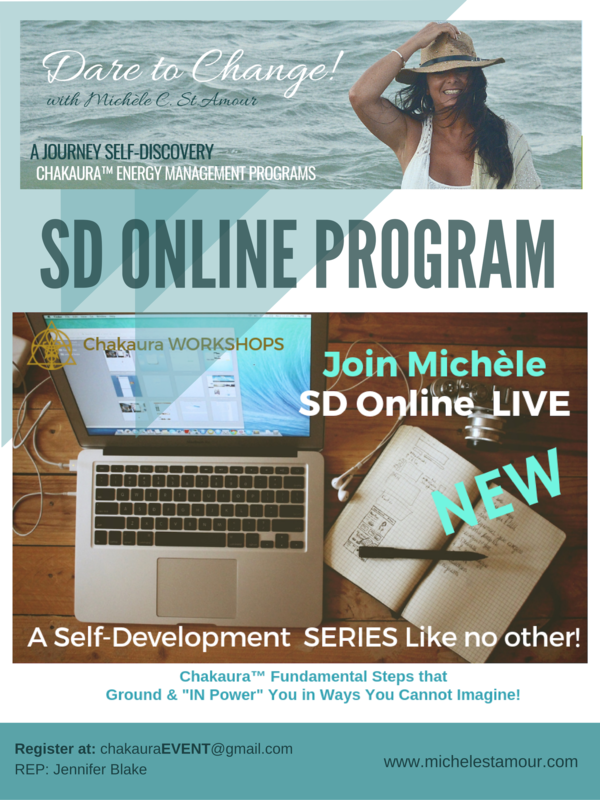 Learn new concepts, their structures and the daily techniques needed to bring your energy higher to where all the good stuff is!